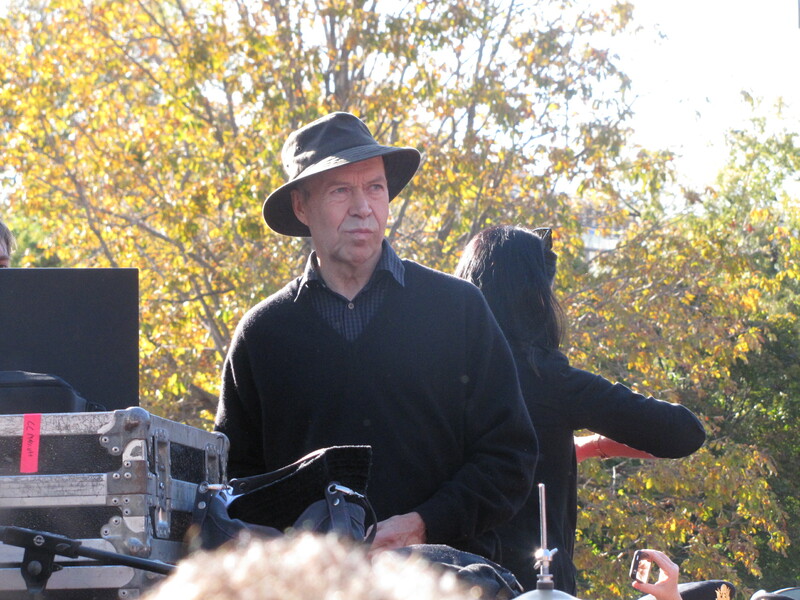 Click the audio players below to hear my interviews from the Keystone XL protest in Washington, D.C. last weekend with NASA scientist James Hansen; author and activist Bill McKibben and the Council of Canadians’ Maude Barlow. It was a rare pleasure to have the opportunity to speak with Dr. James Hansen, renowned NASA scientist and one of the world’s leading climatologists. He heads the NASA Goddard Institute for Space Studies in New York, a part of the Goddard Space Flight Center in Maryland. He is also an adjunct professor in the Department of Earth and Environmental Sciences at Columbia University. Right click here to download the interview (3:18). 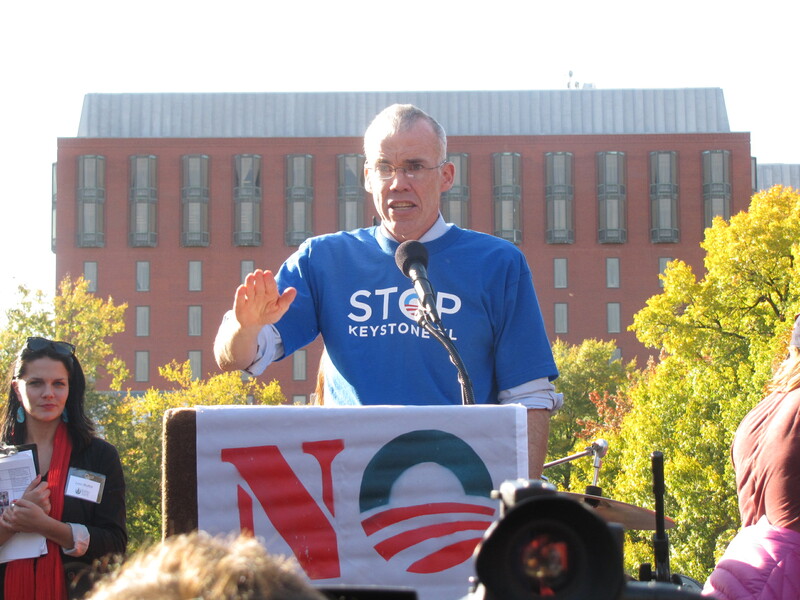 If there is one individual who can be credited with building the U.S. climate change movement to the level of influence it has reached today, it is Bill McKibben. In addition to being an author and journalist, McKibben has been a tireless environmental and climate activist. He is the author of several books and is a frequent contributor to various magazines including The New York Times, The Atlantic Monthly, Harper’s, Orion Magazine, Mother Jones, The New York Review of Books, Granta, Rolling Stone, and Outside. He is also a board member and contributor to Grist Magazine. Right click here to download the interview (1:55). Maude Barlow is another person I’ve been trying to interview for some time. In our discussion, she is refreshingly upbeat in her assessment of the prospects of stopping both Keystone XL and the Enbridge Northern Gateway pipelines. 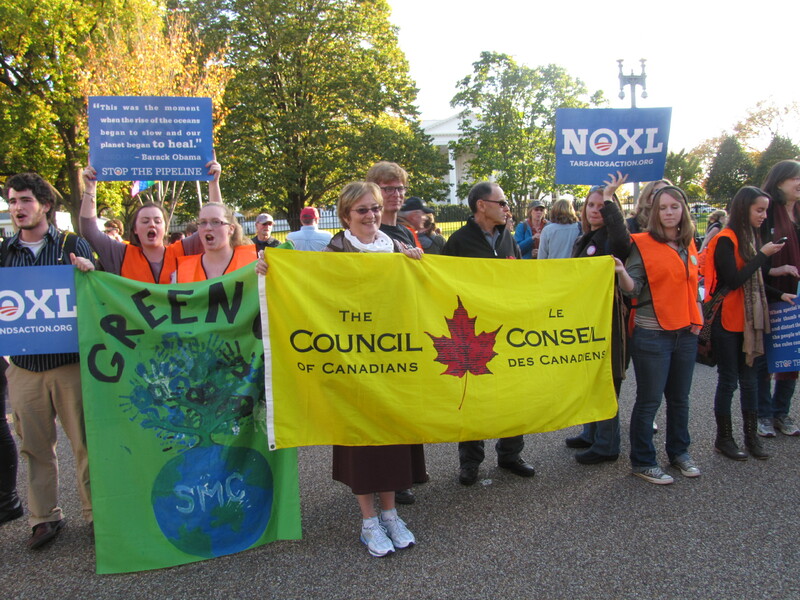 Sure enough, mere days after the Keystone protest in D.C., President Obama announced that he would be delaying until 2013 his decision on whether or not to grant a permit to TransCanada to construct the pipeline. Maude Barlow is the National Chairperson of the Council of Canadians and chairs the board of Washington-based Food and Water Watch. She is the recipient of 11 honorary doctorates as well as many awards, including the 2005 Right Livelihood Award, the Citation of Lifetime Achievement and the 2009 Earth Day Canada Outstanding Environmental Achievement Award. In 2008/2009, she served as Senior Advisor on Water to the 63rd President of the United Nations General Assembly and was a leader in the campaign to have water recognized as a human right by the UN. She is also the author of dozens of reports, as well as 16 books, including the international bestseller Blue Covenant: The Global Water Crisis and The Coming Battle for the Right to Water. Right click here to download the interview (2:50).